We’d love your help. 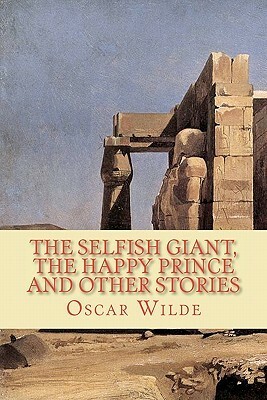 Let us know what’s wrong with this preview of The Selfish Giant, the Happy Prince and Other Stories by Oscar Wilde. To ask other readers questions about The Selfish Giant, the Happy Prince and Other Stories, please sign up. Livro de leitura obrigatória na escola de minha filha e obviamente li também. Parece uma obra de arte, tamanha a beleza das ilustrações. Traz a história de um gigante que é dono do mais lindo jardim. Mas ele proíbe a entrada das crianças e com isso o jardim se torna triste e dominado por um inverno eterno. Até que o gigante recebe a visita de uma criança muito especial, transformando tudo ao seu redor. Lindo e tocante, com toque de mensagem religiosa (indicado em escola católica). Simple yet wonderful. I could almost feel some Krylov in there. Selfish Giant - my favourite. I realized both in "The Happy Prince" in this book and "The Nightingale and the Rose," the birds are important roles, like sidekicks, but they are not appreciated in this world. My favorite stories in this book were "The nightingale and the rose" and "The devoted friend".